Tracy works to shape state policy, strategic planning, and financing strategies for children’s behavioral health services as part of her work with the Texas System of Care and the State Youth Treatment Project. In these roles, she coordinates with state agencies, local communities, and community members to influence policies that will help sustain and support behavioral health services for children and adolescents across Texas. With over 25 years of experience in the juvenile justice and mental health systems, Tracy has worked with communities, organizations, policymakers, and professionals throughout Texas to design programs and policies to help youth and families access the services and resources they need. She was a 2010 nominee for Outstanding Woman in Texas Government for her work in family engagement in juvenile justice and has served as one of a select group of collaborators for the John D. and Catherine T. MacArthur Foundation’s Mental Health and Juvenile Justice Collaborative for Change, a project of the National Center for Mental Health and Juvenile Justice at Policy Research Associates. Tracy received her Bachelor of Arts in psychology from Hendrix College in Conway, Arkansas and her PhD in community psychology from the University of Texas at Austin. 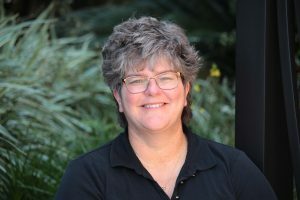 In her spare time, Tracy watches her two teenagers play softball, soccer, volleyball, and basketball as well as trumpet and drums in the school jazz band.